Bringing real taste to the daily table. 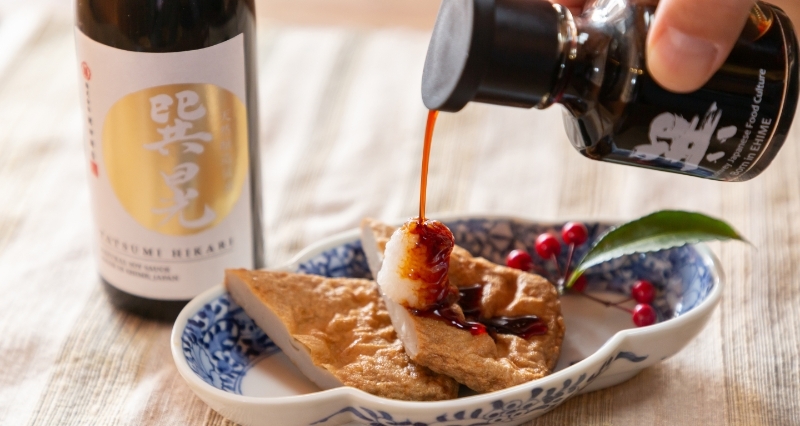 Kajita Shoten is committed to producing　true and delicious soy sauce and miso. 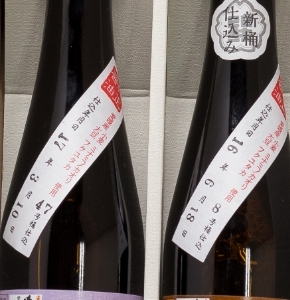 Four seasons, including two summers, this is a naturally brewed soy sauce made by fermenting and ripening for more than one year and six months from “moromi (mash)”. Dark (regular) soy sauce has an appetizing, fragrant taste where the taste is particularly strong, and extends well. 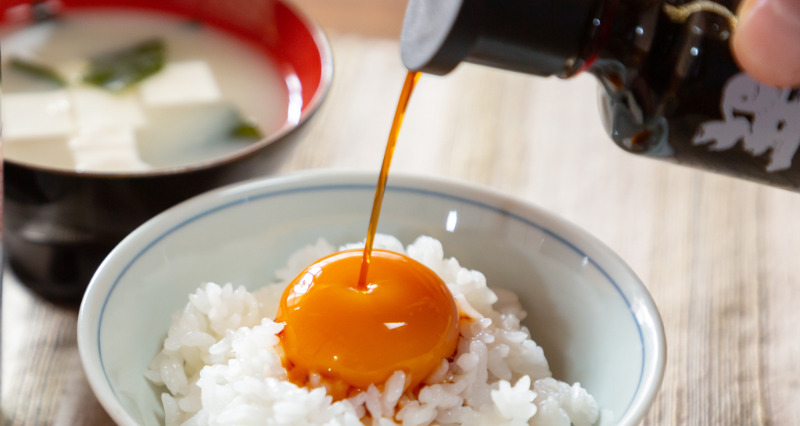 You can use it as an all-purpose soy sauce, even for simmered dishes and grilled dishes. The flavor is further enhanced by heat such as for grilled or fried food. 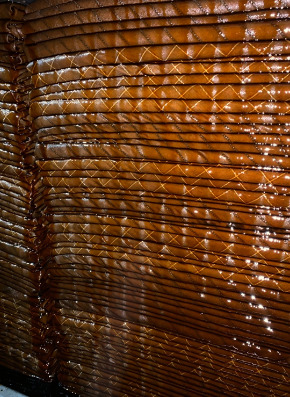 Kajita Shoten conducts thorough management of its soy sauce such as listing the preparation date of each “oke (barrel)”, constantly checks the raw materials, production areas (producers), and the state of the “moromi”. This is pure soy sauce with no preservatives or food additives. Raw materials such as soybeans and wheat are 100% local, from the Nanyo area. The salt used is 100% from Naruto waters of Tokushima prefecture. ※ Due to the traditional manufacturing method (additive-free and non-adjusted), please refrigerate after opening and use it as soon as possible. 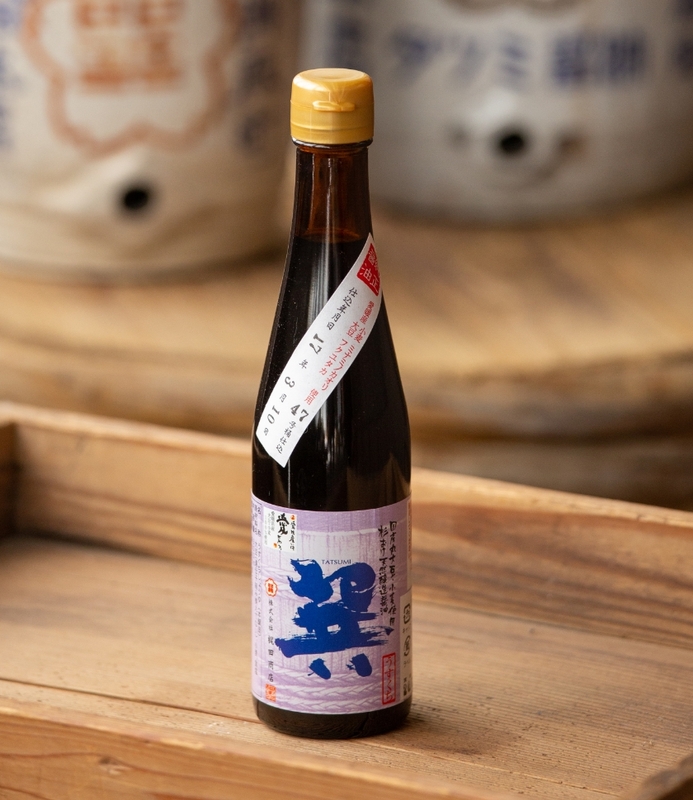 “Usukuchi (light/thin)” is a naturally brewed soy sauce made from the “moromi (mash)” that has been fermented and aged for about one year, feeling the four seasons of spring, summer, autumn and winter. 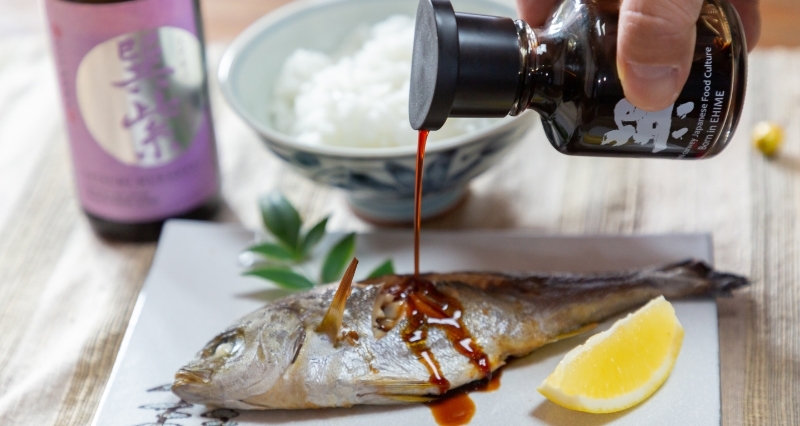 A typical light soy sauce is light in color and has a salty image. 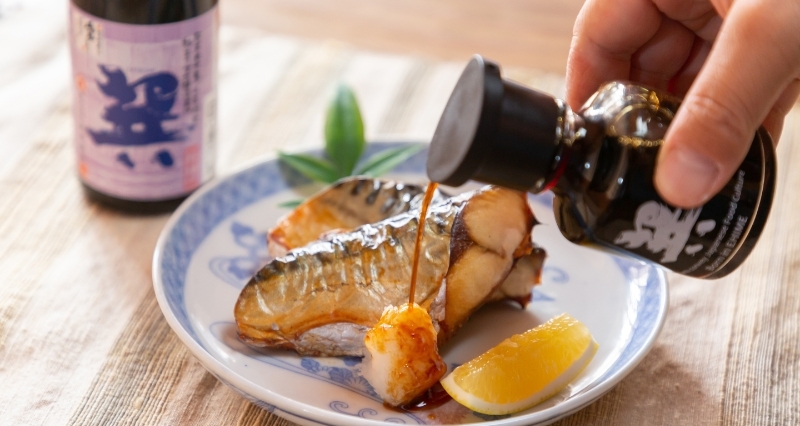 However, the light soy sauce made by Kajita Shoten is made by consciously maintaining the taste of Tatsumi dark soy sauce as much as possible, however, making the color lighter. Although it is a light soy sauce, it is an item that you can taste the soy sauce firmly and clearly. It is an ideal soy sauce to bring out the flavor of the ingredients such as for simmered dishes, grilled dishes, and soups. This is pure soy sauce with no preservatives or food additives. Raw materials such as soybeans and wheat are 100% local, from the Nanyo area.The salt used is 100% from Naruto waters of Tokushima prefecture. 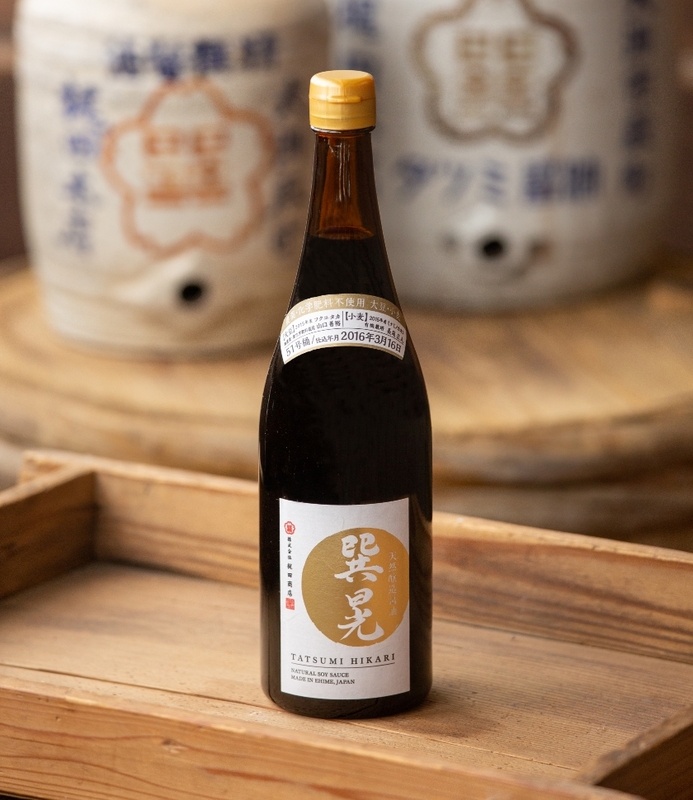 “I want to brew real and delicious soy sauce, here, with the nature of Ozu.” This rebrewed soy sauce was born from the strong thought and passion of Yasutsugu KAJITA, 13th generation of Kajita Shoten. Regular soy sauce made over a period of two years using only soybeans and wheat cultivated exclusively by contract farmers for Kajita Shoten. 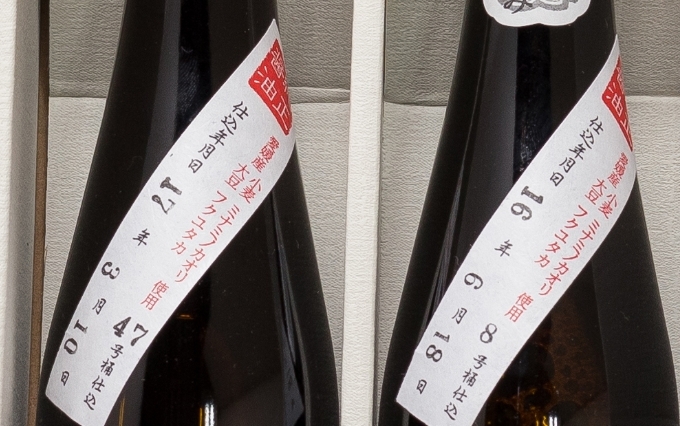 Fermented and aged for another two years by combining the regular soy sauce with “koji (malt)”. 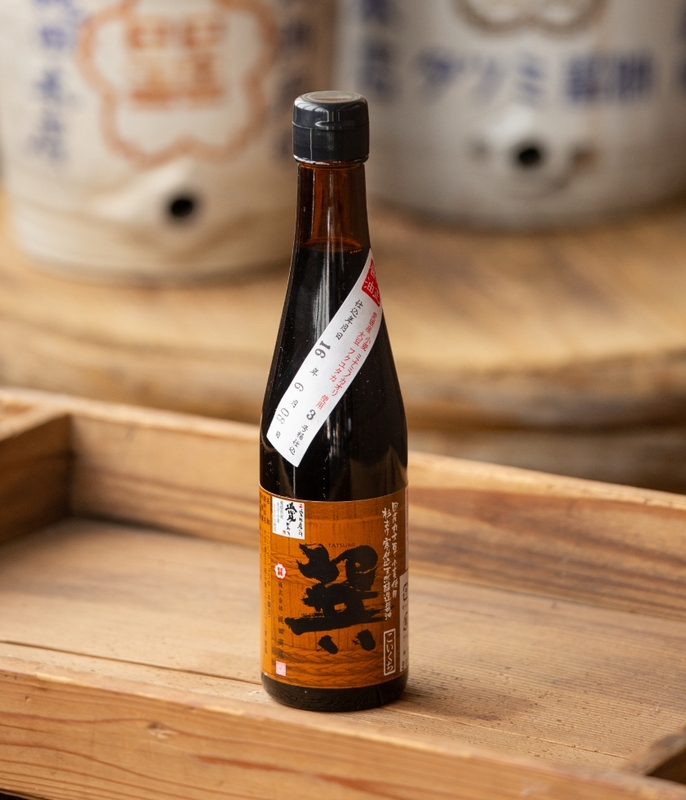 A period over a total of four years, sparing the best ingredients and time and effort, this soy sauce that has been re-fermented and aged slowly is the “saishikomi” soy sauce. 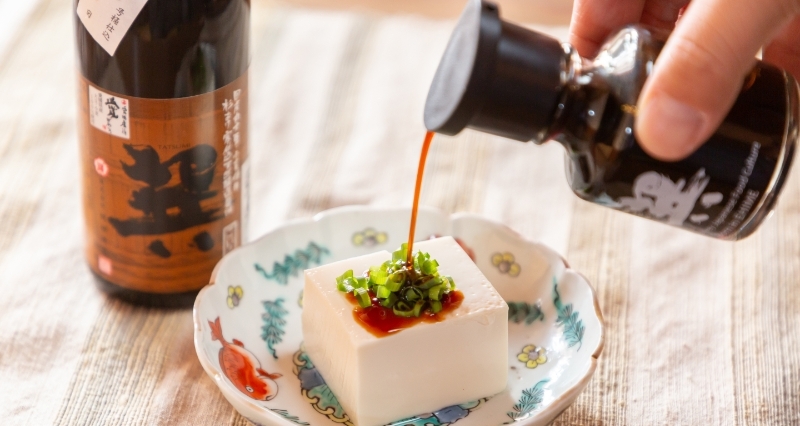 It is a superb soy sauce that contains a lot of natural amino acids and has an amazingly rich and deep taste, as well as a beautifully clear, long-lasting finish. For everyday use, for various food scenes, this soy sauce has the power to bring out the full taste of all dishes and cannot be replaced by any other seasoning. 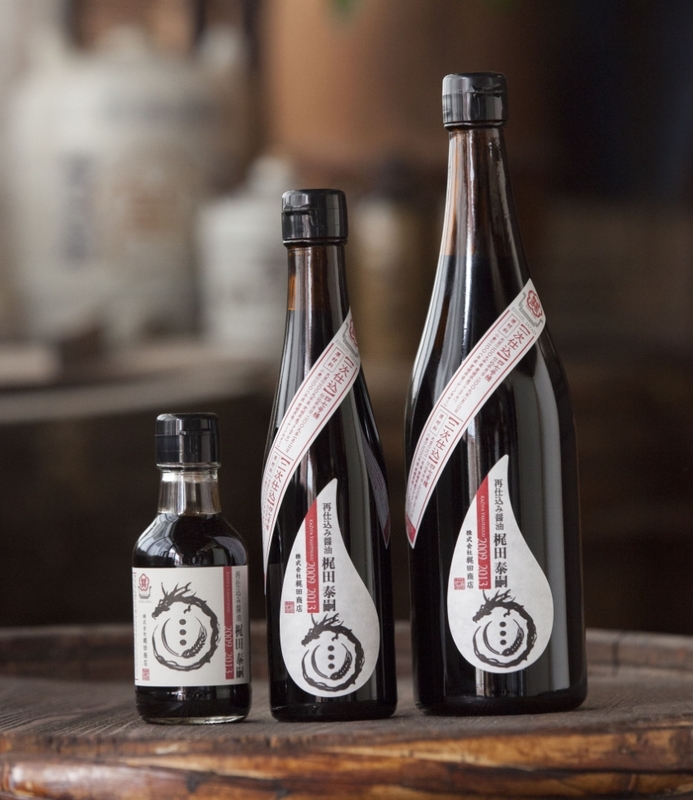 “’Saishikomi (rebrewed)’ soy sauce, Kajita Yasutsugu” is an extraordinarily luxurious soy sauce that requires more than twice as much raw materials and time as regular soy sauce. Because only a limited amount can be produced each year, please enjoy even the last drop, and feel the taste and enjoyment of the food. 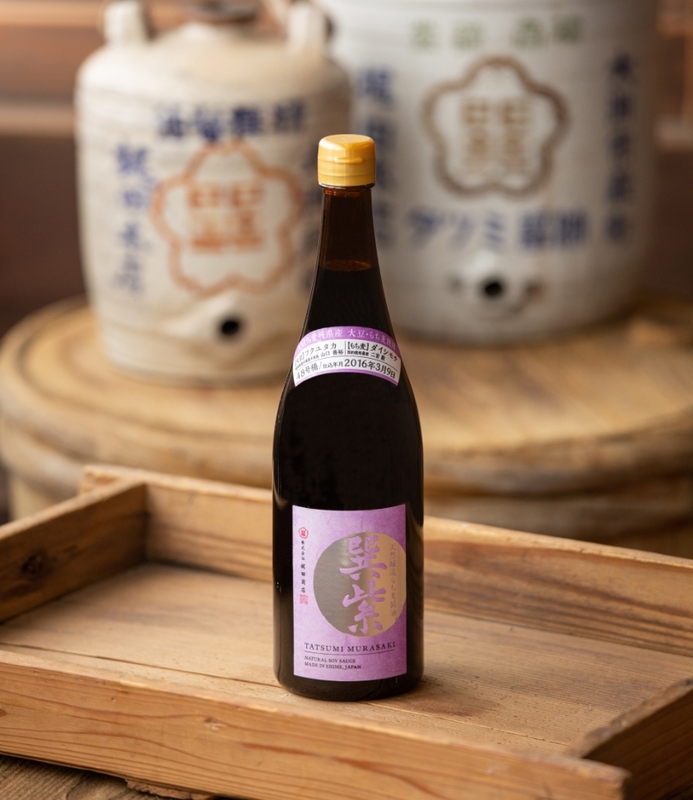 This is a naturally brewed soy sauce using only chemical-free and chemical fertilizer-free soybeans and wheat cultivated exclusively by contract farmers for Kajita Shoten. It is characterized by its soft and beautiful taste. It is a well-balanced soy sauce where the sharp saltiness is surrounded by the soft taste. You can use it for various purposes and tastes well over heat. We use ancient rice, daishimochi (glutinous wheat), grown in the local area. A wheat-free, naturally brewed whole soybean soy sauce that you can use even if you cannot consume gluten. Daishimochi is rich in dietary fiber compared to white rice and brown rice and has a high protein and mineral content. It contains a large amount of water-soluble dietary fiber, “barley β-glucan”, that cannot be easily consumed by other products. Barley β-glucan is said to suppress post-prandial blood sugar elevation and to have various health functions. This soy sauce is bright in color and the scent is beautifully finished. You can use it without damaging the taste of your dish and to support the ingredients. 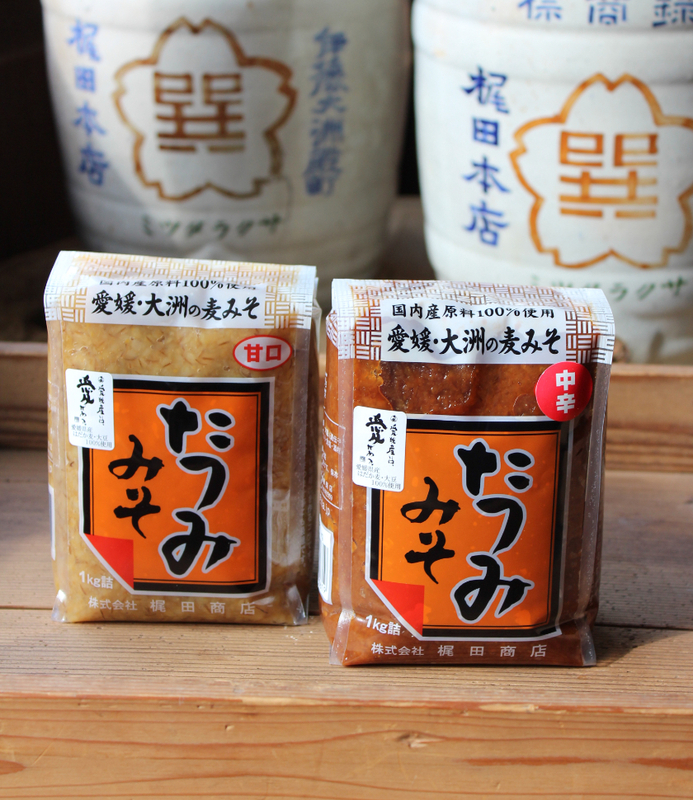 Kajita Shoten’s traditional barley miso is made from barley grown here in Ehime prefecture and domestic soybeans. Using plenty of koji (malt) and firmly matured, this is an extra mild miso. The taste that is pulled out by the power of koji makes the food taste even more attractive. The sweetness is due to the high proportion of barley koji, and the natural sweetness of wheat spreads along with the gentle smell of koji. The proportion of soy beans is high in the mild (medium flavored) miso, and you can feel the deep solid taste of the soy beans. In addition to “grain miso”, we also make “grind miso” which is carefully ground and easy to use for various dishes. We have received many happy voices stating, “I would like to continue using this miso”. 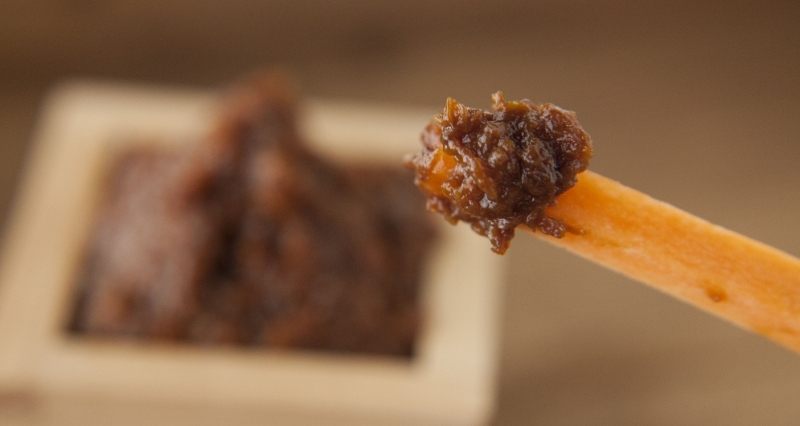 This is pure miso that does not contain any preservatives or additives and is body-friendly even for small children. This product is additive-free and non-adjusted, please use it as soon as possible. Slowly posting recipes from Kajita Shoten for house cooking. Hope you enjoy them.